Demographics are shifting and accounting and finance leaders are retiring. Avoid the uncertainty of what happens next—and continue to grow your business—with proper succession planning. How do you find the right candidates and clearly convey the opportunity? What questions should you ask to go beyond resumes and portfolios? How can you attract future leaders from the Millennial generation? How will your company benefit from our white paper? Why succession planning is so challenging. Why it’s just as important as it is challenging. How to interview and screen new talent. What the Millennial generation expects from you. Accounting Principal’s staff is attentive and very carefully listens to what my needs are. Simply put...I get fantastic results from their organization. They do a great job filtering candidates and move at lightening speed, which is crucial when you have staffing needs. 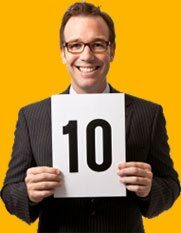 Can't recommend Accounting Principals strongly enough! Accounting Principals have proven themselves to be a reliable, personable, and successful partner in staffing the many temps I am currently using. I will continue to reach out to them for my staffing needs. 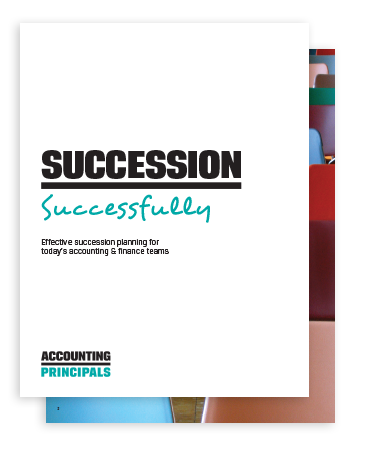 Download our white paper, "Effective Succession Planning for Today’s Accounting & Finance Teams"